A few week's back an exciting little package arrived at my doorstep containing these three gorgeous grey bottles. Living Proof has been a brand I have looked at countless times in Sephora, so I was excited to have the opportunity to test out some products. Together these three give me some pretty lovely hair. I even had a co-worker ask me what I did differently the other day (after that compliment I had to snap a selfie for Instagram)! The PhD line (Perfect Hair Day) smells amazing, is color safe, and silicone-free. The products promise to smooth, add volume, give a bit of extra conditioning, strengthen, and leave hair looking polished. All things my co-worker noticed when I came into work the other morning. 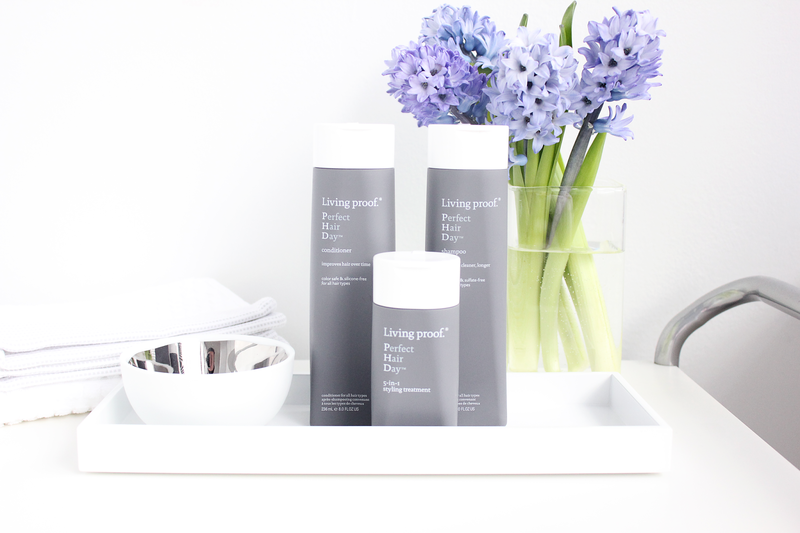 Together these products are the trio of an amazing hair day. For me the star of the three is definitely the 5-in-1 Styling Treatment. I almost never use any extra product (aside from shampoo and conditioner) so this was a nice treat and one that has been put in my hair after every wash since. For me personally, I only apply this product to the middle/ends of my hair. I try to stay away from the roots (even though the directions say to apply root to ends) due to my hair's natural tendency to become greasy. I have stuck to my regular routine of washing hair every other day, and like almost everyone else out there find that second day hair is absolutely the best. 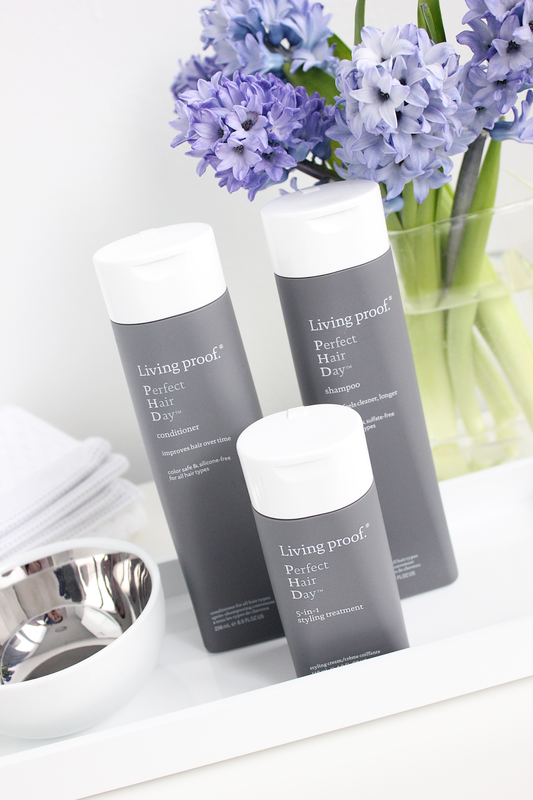 The products leave my hair feeling clean and smooth until my next wash.
Do any of your use Living Proof products? What are your favorite hair care products? Let me know in the comments below! oooh! I may need to try these out! I have been using the Brilliant Brunette line for years, and I don't feel like it's cutting it anymore. Maybe Ill sample these next time I am loitering in the Sephora line! That's the best part about the line...the minis at Sephora for you to test! I used to use Brilliant Brunette myself!! these photos are absolutely gorgeous faith! i wanna try out the perfect hair day .. sounds amazing! My hair can be super greasy as well! I have to be careful with how much conditioner I use. I can definitely go a day or two without washing using this line though so I love it!